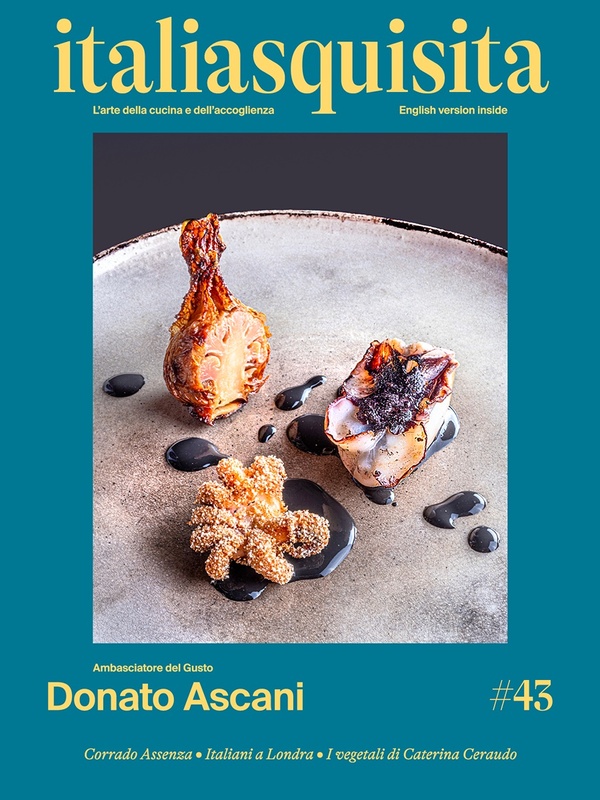 Among the recipes of famous chefs, an appetizer of the chef Luigi Nastri - restaurant Settembrini Rome – that inserts in the recipes of Italian cuisine an influence of the Japanese cuisine. The chef of one of the most renowned restaurants in Rome has created a delicious appetizer - Cuttlefish, peas and lemon - a soup made with peas, lemon sauce, squid and "udon" spaghetti. Clean the peas from the pods blanched them for twenty seconds in unsalted water and put them immediately into iced water. Just to cool, drain them and peel them one by one. Finished this work, which is certainly the longest part, proceed with the preparation of the soup by chopping half stick of celery and a little onion. Fry them in a little extra virgin olive oil, add the peas with about 10 dl vegetable stock and cook them for no longer than five minutes. After that put them in a container immersed in ice water not to alter the color. Clean the cuttlefish, taking care not to damage the bag containing the black and during the summer and I also try to keep the eggs. Put the hat in a vacuum bag dressed with a little salt, pepper, olive oil and thyme and close it by removing all the air. Steam at 75 °C for four minutes and try to cool it quickly. Then cut the cuttlefish by using the outer parts in small cubes of 5 mm thick, brown them in a pan and then add the bag of black and cook for 10 min. Another part of the hat, cut into squares about 3 cm from the side and do a series of small incisions. This part will be seared in a hot pan with a little oil until it becomes quite "toasted". Cut the remaining cuttlefish to obtain a series of "noodles." Chop the celery and the onion and fry them at very low heat in a saucepan with a little extra virgin olive oil. After about five minutes add the lemon wedges completely private of the white. Turn up the heat and cook for another five minutes. Whip with a hand blender, adding a bit of olive oil. Cook the udon in salted water for four minutes and immediately cool them by placing them under running water. Season with pepper, pea sprouts, olive oil and anchovies. At this point you have all the ingredients to assemble the dish.